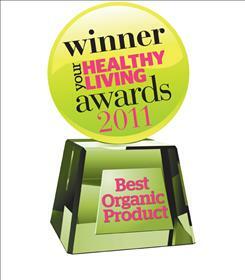 Seagreens won its third new product award for The MIneral Salt, when it was voted Best Organic Product of 2011 by the more than 100,000 British readers of Healthy Living magazine. The award was announced in December 2011 confirming this as the most successful year to date for Seagreens' own brand consumer products. Click here for full product information, or for your local stockists, click here. 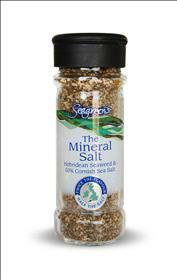 The Mineral Salt is a unique 'half and half' mix of Seagreens wild organic Ascophyllum seaweed and Soil Association certified unrefined Cornish sea salt. No other natural food has such a complete balance of minerals, trace elements and all the other micronutrients. The product is internationally Certified Organic by the Biodynamic Association to EU and USA Organic Standards.